Horse-drawn carriage with 18 youth onboard crashes near Round Lake in Sask. 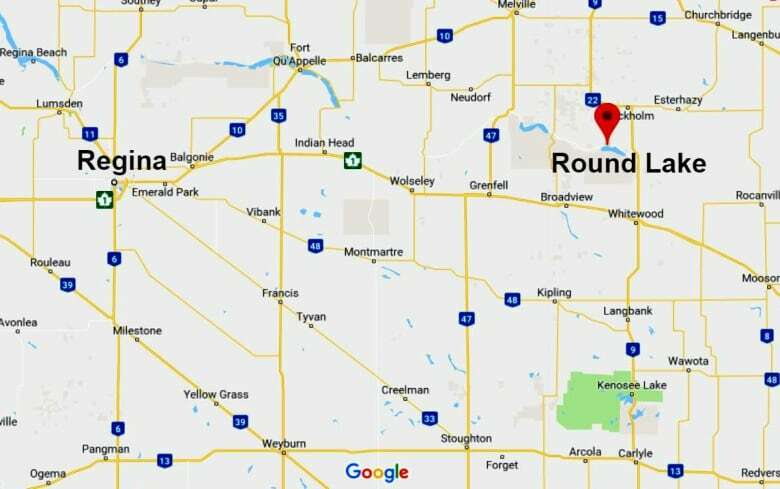 A wagon carrying 18 youth near Round Lake in Saskatchewan crashed into some trees, injuring some of the children, after the animals were spooked. Esterhazy RCMP got a call about the crash at 8:24 p.m. CST Thursday, according to a news release. The two horses pulling the wagon had galloped across a ditch and into some trees. The wagon did not flip, but had come to a "sudden stop," injuring some of the passengers, RCMP said. Round Lake is located about 160 kilometres east of Regina on the Ochapowace Nation. Denise Beaudin, interim​ director of operations at Ochapowace Nation, said the accident happened at Camp McKay, a local camp, during the final day of an annual family camp event. According to the Saskatchewan Health Authority (SHA), 15 people were sent to hospital after the crash. Nine of those patients have been released. No one still in hospital has life-threatening injuries, according to SHA. Beaudin said the camp's staff was immediately available to help the affected people. "Because there was a family camp that our nation puts on every year ... we had a large number of our health staff available, so they were on site immediately," she said. "They're trained in CPR, they're trained in crisis situations. We have mental health therapy as well available." According to Beaudin, the mental health staff was contacting families again Friday morning to see what kind of support they need. Beaudin also said that they've never had an incident like this and that the person who was doing the wagon ride had been providing the service to the First Nation for years. The horses were apparently spooked by a car pulling out onto the road.